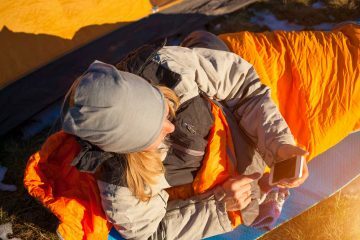 Are you one of those people who only eats pasta or frozen meal packages when you go camping? We were also part of that group. 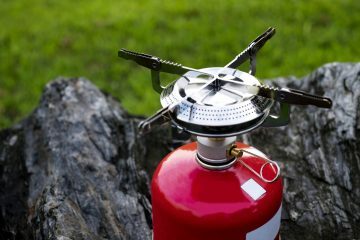 But those days are gone since we discovered the Bike, Camp Cook book which inspired us to experiment with our camping stove. 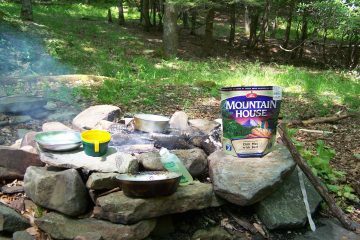 With a limited kitchen, everyone wants easy camping meals to fill their appetite after a long day hiking or cycling in nature. 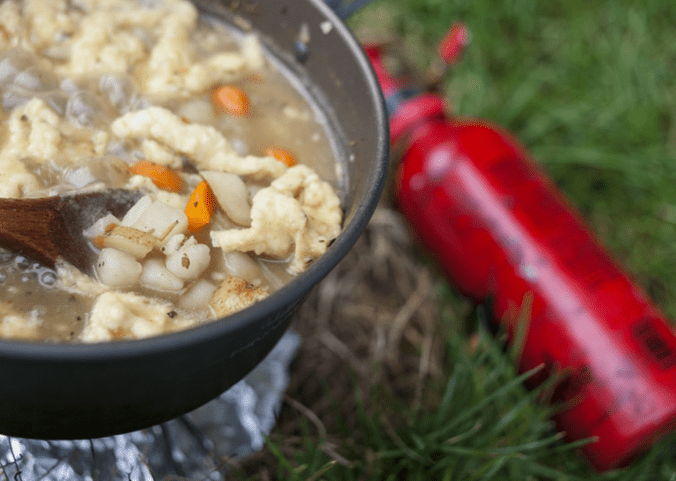 Don’t worry, we are here to help you out with some awesome camping food ideas. 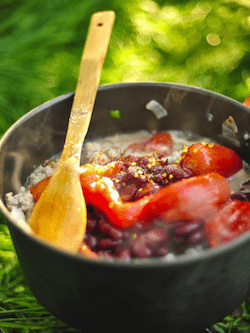 Whether you are short of ideas for breakfasts, lunches or dinners these camping recipes will make your life a lot easier. 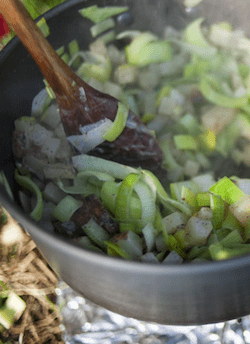 You don’t need to be a professional chef or carrying a whole kitchen with you, these cooking ideas are designed to be prepared with only essential utensils and keep your camping packing list to a minimum. Enjoy and bon appetit! 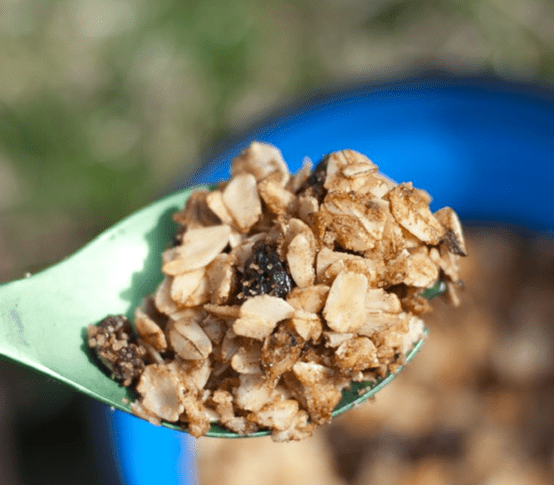 Granola is a healthy way to start off a day of adventure. 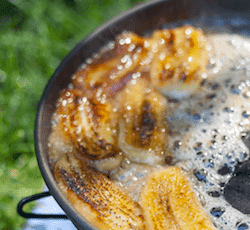 This recipe turns a few humble ingredients into a crunchy, caramelized, camp friendly breakfast that is extremely tasty and nutritious. For added substance, throw in a handful of nuts to go along with the oats and raisins. Want to spice up your mornings? 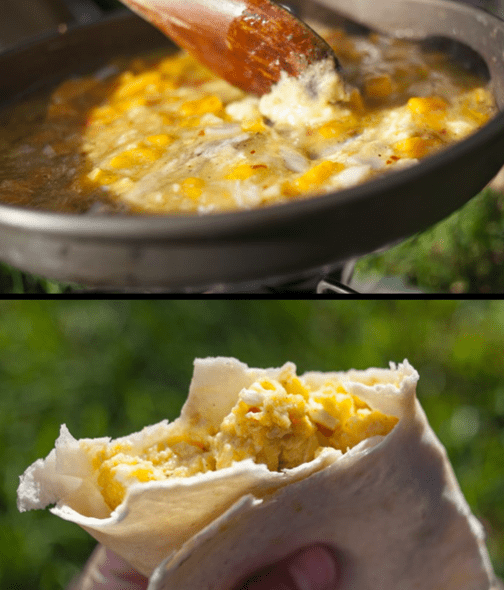 Give this cheesy scrambled egg breakfast burrito a try. Use store-bought tortillas, or try your hand at making your own (recipe within book). Sliced avocado makes for a nice accompaniment. 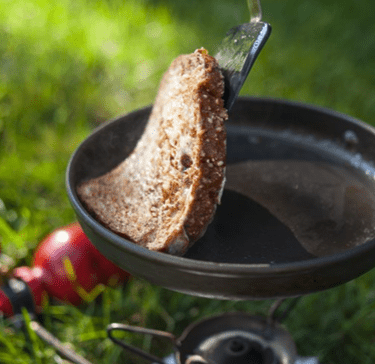 Camp breakfasts don’t have to be boring! Grab some bread, butter, an egg, milk, honey and vanilla extract to whip up some tasty stacks of french toast. Serve it with plenty of butter, and your choice of toppings. Looking for a filling yet healthy salad that has a bit of kick? This recipe is for you. 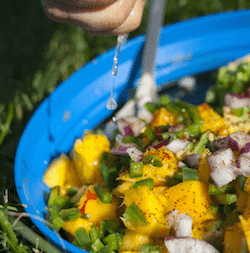 Combine mango, avocado, red onion and jalapeño then season the salad generously with salt, pepper, and lime juice until the flavors sing. It’s quick to prepare and makes for a delicious light lunch or side dish. 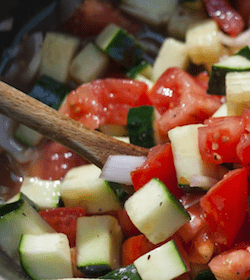 This salad is a healthy addition to any meal and requires minimal ingredients. Perfect for warm days when you want something light and refreshing. Get creative and add toppings like flakes of tuna, olives, chopped hard boiled eggs, crusty bread or salty cheese. 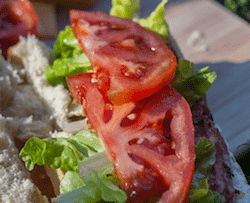 Sandwiches make for an easy on the lunch or snack. Buy fresh bread and fill in with you veggies and/or meat. Some tasty ideas include cured meats, cheese slices, bean spread and lettuce leaves. If you are planning a multi-day adventure, tortillas make for a great replacement for bread as the pack smaller and last longer. Chile con carne is a hearty and tasty way to fill up after a long day of adventure. This spicy stew is great on it’s own, with bread, potatoes, rice, or couscous. This dish also goes along well with guacamole. 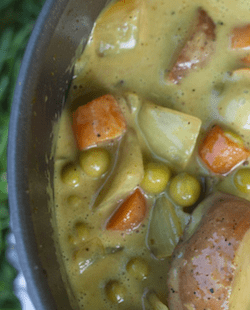 This potato, carrot and pea curry is perfect for satisfying a craving for Indian food. Either follow the recipe or use any mix of vegetables. Be sure to have a helping of rice or bread on hand to soak up this creamy mixture. With only a few basic ingredients and less than twenty minutes you can whip up a piping hot bowl of nourishing soup. How does that sound after a long day of adventuring on a chilly day? Don’t forget to eat it with a hunk of good bread! Butter and sugar turn this ordinary fruit into a golden, caramelized treat. Eat them on their own or use them to liven up your morning porridge. They also make for a delicious french toast topping. 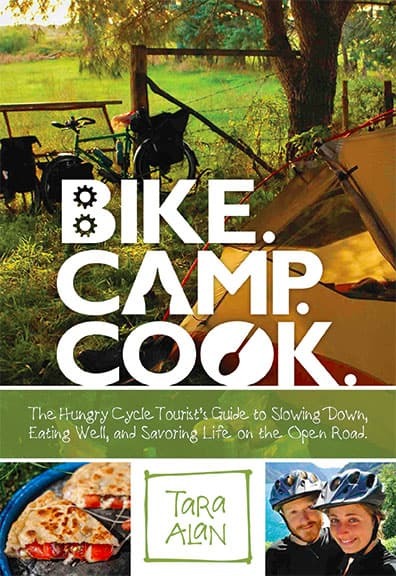 If you are looking for an extended selection of good camping food ideas, Bike, Camp, Cook is a extraordinary resource written by Tara Alan. 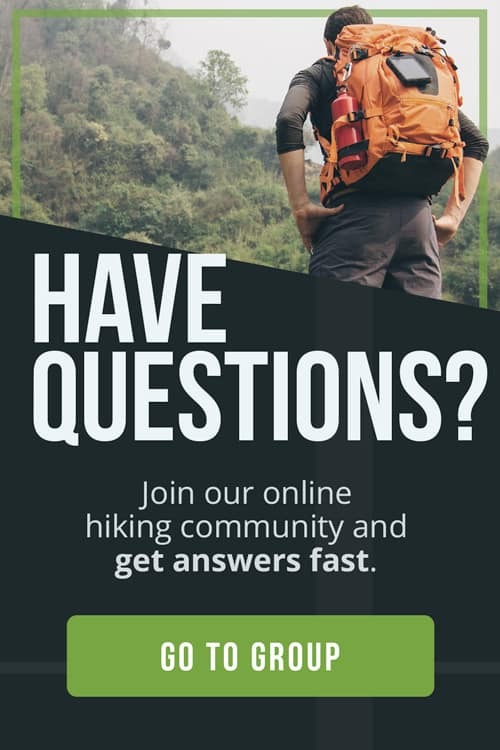 The book is full of camping recipes and great tips on cooking gear, preserving and packing the food, seasoning and much more. Written by a camper for campers.